Do you like black doris plums? Breakfast in bed or dining? ❤️ What do you think of my Snickerdoodles and Oatmeal Apple Cobbler muffins? What are your favorite go to sweets? Who wants to eat this pizza with me? Which is better? Waffles or Pancakes? They look like cut and pitted cherries in that picture. Never tried it, but I can tell it ain't my thing. Laurie's, ADULT'S ONLY, list of your favorite sexual fetishes and kinks! To all those women that are never approached by men: Do you think we are the problem? Tattoos and why I am so tempted to get one or more, let's begin shall we! :) 10 Music Artists/Bands Have Taken Over My Playlist Relationship Advice Everyone Needs To Know! 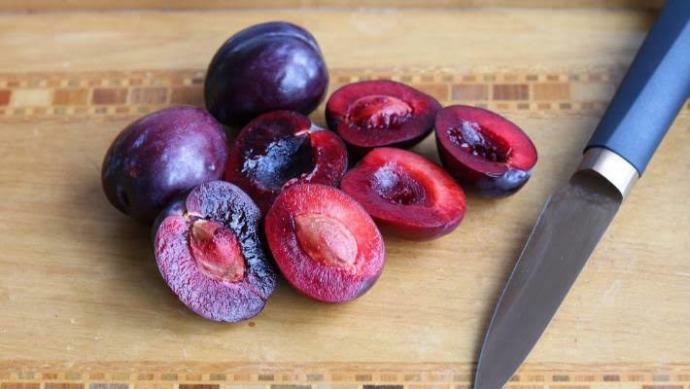 Home > Food & Beverage > Do you like black doris plums?